Lightning does not flash everywhere equally on Earth. The phenomenon occurs more often over land than over the oceans, and more often in areas closer to the equator than in the mid- and high latitudes. According to recent research led by Joel Thornton, an atmospheric scientist at the University of Washington, humans also can affect where lightning flashes. 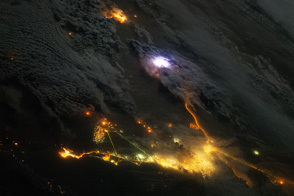 The connection between people and lightning is visible along two of the world’s busiest shipping lanes in the Indian Ocean and the South China Sea. 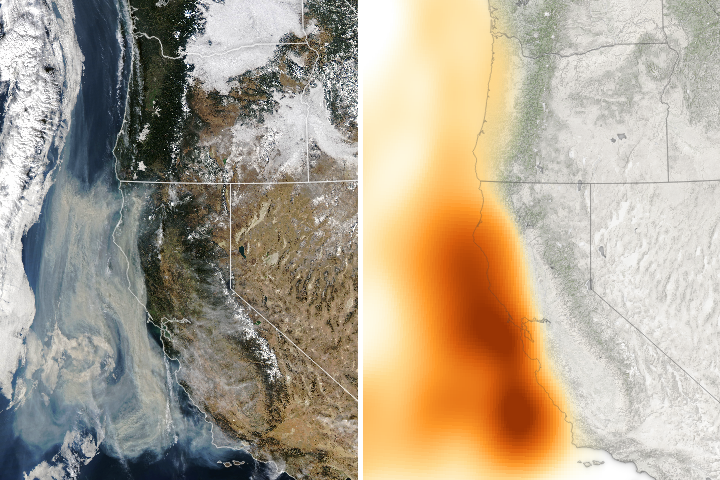 The top map shows the emissions of particles from ship exhaust (orange), calculated from a database of maritime vessel traffic in the region. The second map shows the average density of lightning per year from 2005 to 2016, as detected by the World Wide Lightning Location Network (WWLLN). The narrow light-purple bands indicate where increases in lightning occurred. Turn on the image comparison tool to see where areas of increased lightning coincide with shipping routes. 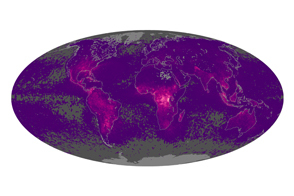 The WWLLN is a treasure trove of data, with ground-based sensors recording lightning strokes around the planet. Work by Katrina Virts, an atmospheric scientist at NASA’s Marshall Space Flight Center, recently made the network even more valuable. By reprocessing the global lightning climatology, she was able to increase the resolution by a factor of five. The location of lightning strokes can now be pinpointed to within 10 square kilometers. 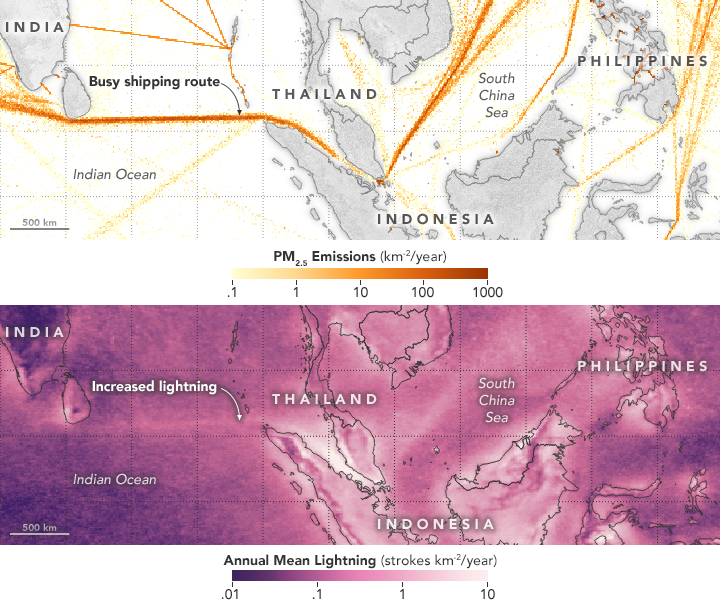 Virts’ high-resolution maps led Thornton and colleagues to pursue the hypothesis that ship exhaust was enhancing lightning. The team compared surface lightning data observed in the Indian Ocean shipping lanes with data from the Lightning Imaging Sensor on the Tropical Rainfall Measuring Mission (TRMM) satellite. They also used radar data from TRMM to test whether certain parts of the storm clouds contained more liquid droplets amidst the water vapor and ice particles. Such an increase would occur if the particles in ship exhaust were changing cloud structure in the area. 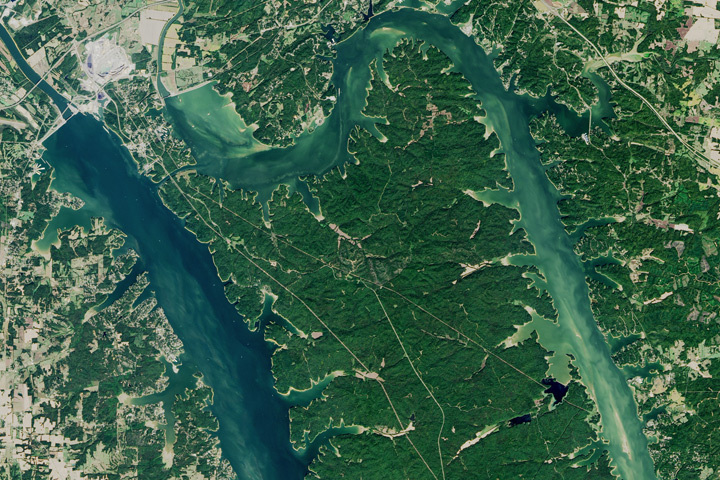 NASA Earth Observatory images by Joshua Stevens, using data from Thornton, Joel A., et al. (2017). Story by Kathryn Hansen. The connection between people and lightning is visible along two of the world’s busiest shipping lanes. Thornton, J. A. et al. (2017) Lightning enhancement over major oceanic shipping lanes. Geophysical Research Letters , 44 (17), 9102–9111.